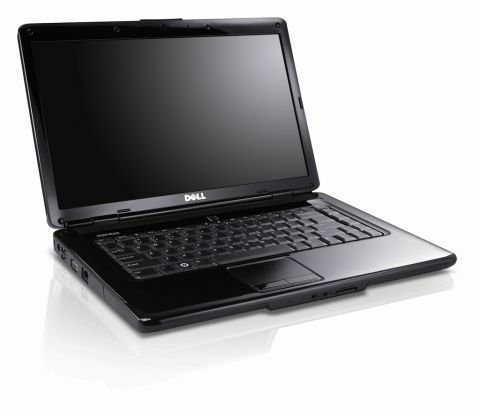 Dell's Inspiron 1545 is one of the most searched-for laptops on the internet. It's easy to see why it's so popular. It boasts a whopping 15.4" 16:9 widescreen display, as well as a DVD writer and a Celeron Processor. Not to mention a multi-million pound television advertising campaign. And yet you can buy the most basic model for under £350. That's the same price as your average netbook. Entering the market at such a low price is an interesting move from Dell, one which puts them in the same bracket as budget laptops manufacturers Emachines and Medion. But in the past couple of years, Dell has lost its place as the world's biggest computer manufacturer (to HP, no less), laid off workers and announced a whopping 48% drop in income. Even Company President Michael Dell seems unhappy with the current state of the computer market as he criticised netbooks for their tiny screens, saying: "The screen's gonna have to go. Give me my 15-inch screen back." Dell's comments seem to be the raison d'etre for the Inspiron 1545, which matches netbook-style components to a proper screen. But is it any good?